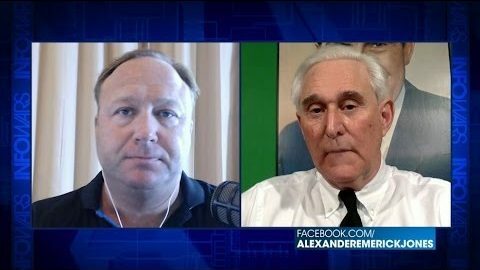 Today on “The Alex Jones Show,” Stone told Alex Jones that should the “Russian collusion delusion” fail, referring to the federal investigation into suspected Russian meddling in the 2016 election, that officials would pursue Trump and his allies on “process-related” crimes. Stone said that investigators will not find any illegal contact with Russian officials, citing communications revealed between Trump Jr. and a Russian lawyer. 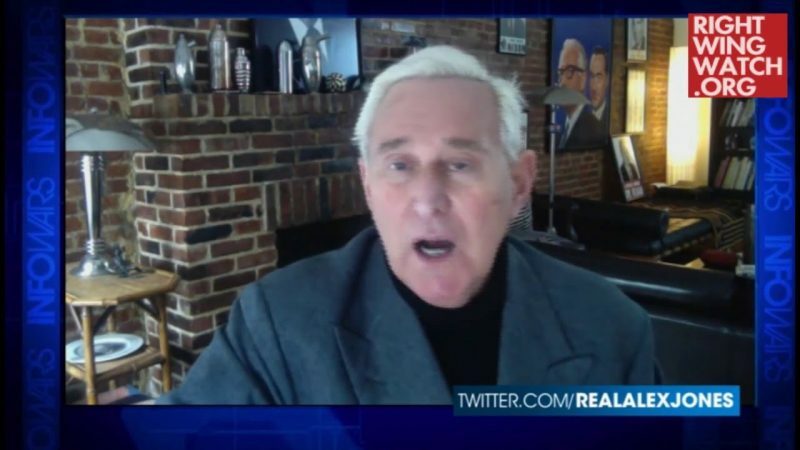 Stone then proceeded to remark that Trump Jr. was likely watching Infowars at that moment, an apparent nod to Trump Jr.’s well-documented affinity for right-wing new media personalities and conspiracy theorists. 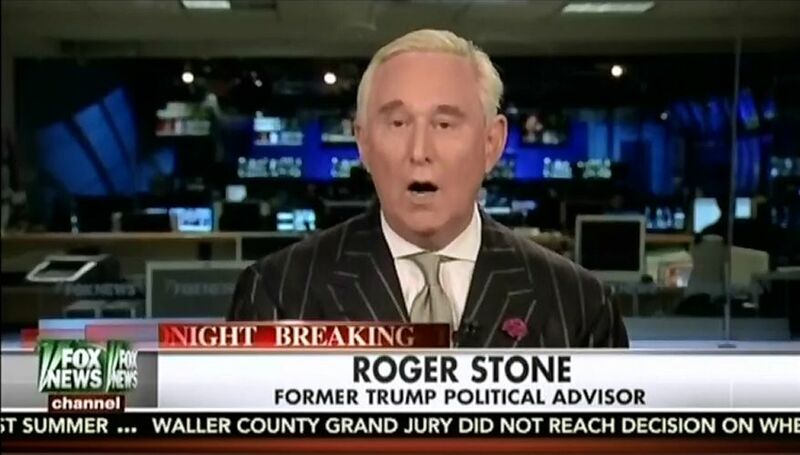 “Don Jr. is a patriot and I think he’s probably watching us right now on Infowars,” Stone said. Jones has often bragged about his relationship to Trump and his family members and has specifically boasted his network’s relationship with Trump Jr. As Media Matters reported, Jones claimed earlier in today’s broadcast that in the latest development between Jones and the White House, he is going to meet with members of the Secret Service to brief them on threats made against the president.